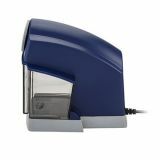 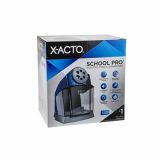 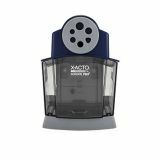 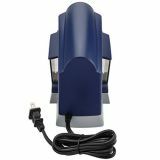 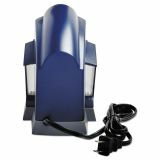 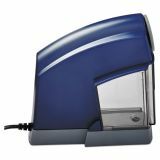 X-ACTO School Pro Classroom Electric Pencil Sharpener, Blue/Gray - The SchoolPro sharpener from X-ACTO is the ideal electric pencil sharpener for the classroom. 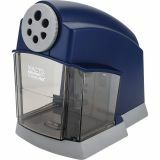 This pencil sharpener was designed by teachers searching for a product that would place an added emphasis on safety, the SchoolPro features a unique cutting blade that produces a safe, rounded pencil point. 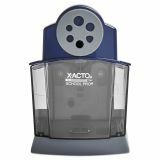 This – coupled with the pencil sharpener’s durable design and patented guard against over-sharpening – makes this an electric pencil sharpener that is perfect for younger students.